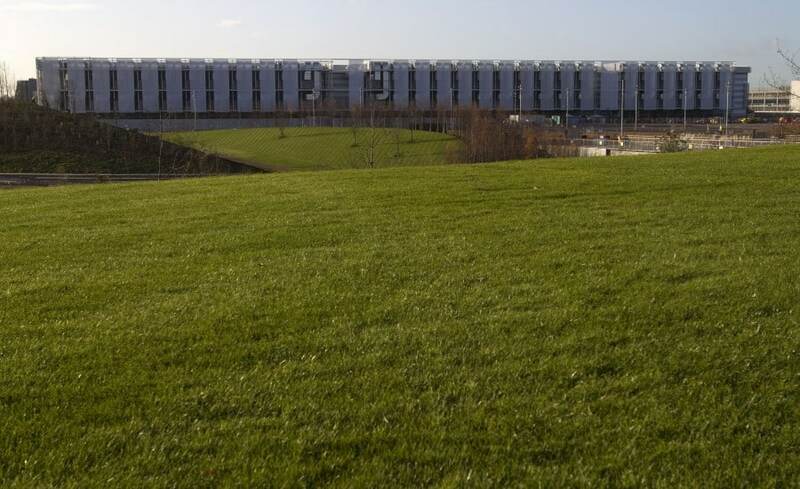 Located in the centre of the London 2012 Olympic site, the International Broadcast Centre (IBC) was the hub of media activity during the Games and the largest venue of its kind! The Broadcast Centre is a 4,500 tonne steel frame building with plenty of mechanical and electrical equipment required to keep it in full operation. 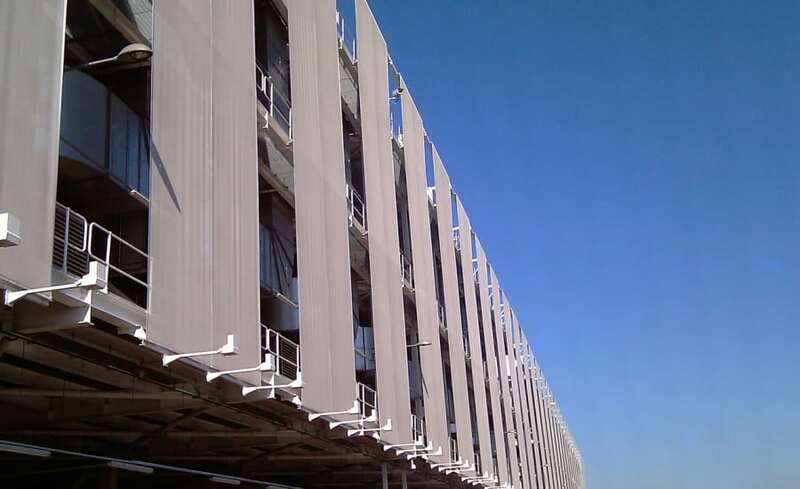 Mounted on the outside of the building, the necessary plant was considered ugly and industrial, therefore, in order to enhance the appearance of the building, main contractor Carillion contracted Architen Landrell to design, manufacture and install 33 tensile fabric cladding panels – a new product offering we call Facade Cladding. The natural coloured panels measure 5.3m x 18m high each and are fabricated in a PVC coated polyester mesh to allow ventilation to still occur. 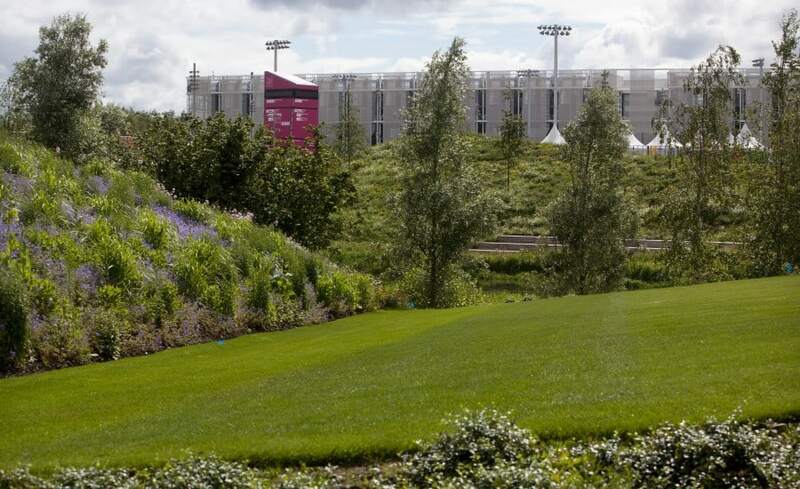 Specially developed for the sustainable Olympic Games, the PVC coated poly contains no phthalates in the plasticiser used to coat the base cloth to make it more environmentally friendly. In line withe ODA policy, the design of the building has embraced the legacy as well as the immediate requirements. Housing more than 10,000 people from 100 countries at the height of the Games, this significant space now plans to become a high-tech creative hub to benefit London. The centre was designed to accommodate a range of potential tenants and to be adapted and altered to fit a new purpose. The fabric panels will be removed at some point in the future and we will look to find a new use for these large span membranes. The non-phthalate material used, also known as NPP PVC Polyester, has no lead content which maximises the number of ways in which the fabric can be re-used when no longer required. 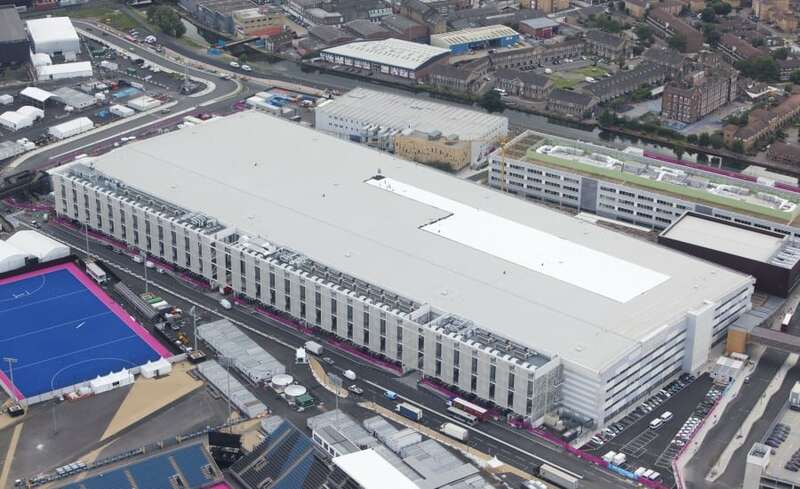 As part of the London 2012 Legacy programme, the IBC is now home to BT Sport. 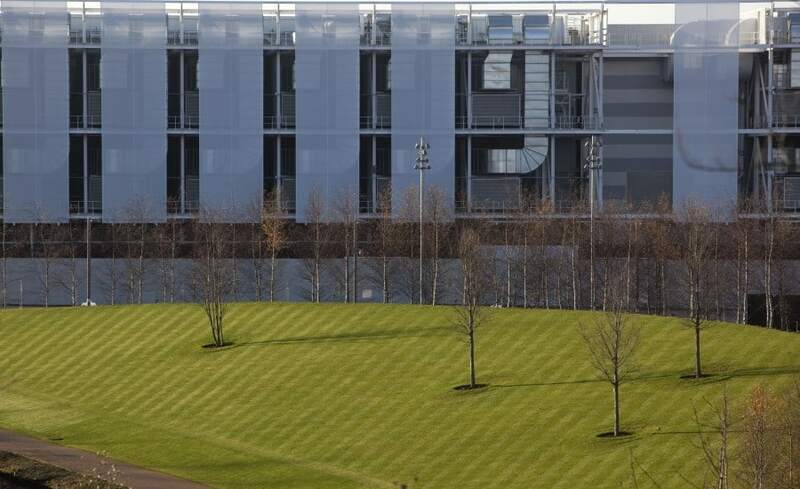 BT Sport will have the flexibility of replacing the Facade Cladding with branded panels to enhance the appearance of the building. The addition of LEDs also allows the fabric panels to reflect different colours of lights, making the exterior space take on a dynamic appearance at night.